Human trafficking is a worldwide problem affecting millions, as recognised this week with the World Day against Trafficking in Persons. Southeast Asia presents one of the worst examples of how to manage and prevent trafficking and its tragic consequences. In May 2015, the Andaman Sea and Bay of Bengal witnessed a major humanitarian crisis. It began with the discovery of mass graves on the border of Thailand and Malaysia containing smuggled migrants. This prompted national and regional action to combat people smuggling and trafficking. People smugglers subsequently began to divert their routes from overland travel across Thailand to more dangerous transportation by boat directly to the Malaysian coast. As local authorities threatened to intercept these boats, smugglers opted to flee, abandoning the migrants at sea. Approximately 8,000 people were left abandoned in overcrowded boats without food or water. These people had faced extreme discrimination, poverty and unemployment in Bangladesh and Myanmar. They turned to people smugglers to arrange their transport to countries such as Malaysia, Thailand and Indonesia in the hope of a better life. However, many found themselves floating at sea with little means to survive. It is estimated that 370 people died as a result of the poor conditions on board and mistreatment by smugglers. Smuggled migrants are only one category of irregular migrants in Malaysia. Others include people who have been trafficked, as well as those who have entered the country on their own accord. These categories often overlap, making it difficult to distinguish one from another. A further complication is the fact that Malaysia has not ratified the 1951 Convention relating to the Status of Refugees. As a result, refugees are generally considered to be irregular migrants. Between 2010 and 2012, the Ministry of Home Affairs identified 1,029 cases of migrant smuggling into Malaysia. However, the actual figures are likely to be at least triple this estimation. The Andaman Sea crisis is indicative of a failure of states to adequately address and prevent migrant smuggling within Southeast Asia. In particular, Malaysia has had considerable difficulty in stemming the flow of smuggled and irregular migrants. As a major destination and transit country for smuggled migrants, Malaysia’s immigration policies significantly influence the flows of migrants in the region. In order to find a meaningful solution to this problem, Malaysia must improve domestic policies and regulation, moving past the superficial, reflexive policies of securitisation and showing greater commitment to creating legitimate pathways into the country. What groups need to be considered? In August 2016, the United Nations High Commissioner for Refugees (UNHCR) recorded 150,200 refugees and asylum-seekers in Malaysia. The majority of these people originate from Myanmar and include the Rohingya Muslims who are one of the most marginalised people in the world. In addition, a substantial number of Tamil people from Sri Lanka and Middle Eastern refugees regularly arrive in Malaysia. These figures illustrate Malaysia’s role as a major destination country for refugees, who frequently turn to migrant smugglers to escape persecution. However, problems of mistreatment appear to be prevalent. Immigration officials, police officers and paramilitary volunteer corps members are frequently accused of harassing migrants and refugees. The possession of official UNHCR refugee cards has been said to provide little protection against abuse. The majority of economic migrants entering Malaysia come from Indonesia and Bangladesh. They tend to use irregular methods of travel due to a lack of understanding about the process for migration, a lack of protection by the Indonesian government and the presence of unregistered recruitment agents in rural areas. Bangladeshi migrants are the second largest group of undocumented migrants in Malaysia. They frequently depart Bangladesh to escape widespread poverty and unemployment. Many Bangladeshis agree to irregular forms of migration, as formal structures and frameworks for legal migration are severely lacking in Bangladesh. The growing visibility of irregular migrants between 1970 and 1980 prompted public concern that they were displacing locals from employment opportunities and access to public amenities in Malaysia. These fears eventually prompted policies directed towards securitisation, in which irregular and smuggled migrants were considered to be a threat to national security and the ethnic balance of the state. Greater emphasis was placed on border controls and the detection and removal of illegal migrants. These policies, in conjunction with the 2015 smuggling crackdowns, appear to have caused smuggling activities to subside on key routes. However, smugglers continue to abandon migrants at the borders, suggesting that the immigration policy centring on securitisation and border enforcement is not sufficient and requires re-evaluation. One of the largest flaws of securitisation and border control policies is that migrants often seek alternative routes to enter the country. Malaysia has also struggled to prosecute smugglers and enforce its border control policies, which may show a lack of political will to properly address this issue. It has been suggested that in order to increase the prosecution rate, smuggled migrants should not be criminalised, and should feel free to report smugglers without fear of being detained and deported. These problems exemplify the inadequacies of a policy response dominated by stringent border control. The need to regulate the entry of migrants must be counterbalanced by measures to address the cause of irregular migration and create legitimate migration pathways. In the aftermath of the 2015 Andaman Sea crisis, regional governments acknowledged the collective failure of states to act. There have been subsequent meetings to create a regional mechanism to prevent future crises and to implement necessary improvements. These movements are promising, however, it is unclear how they will manifest in regional policy. Actors outside the region also contribute to shaping Malaysian migration policy. The United States has been an influential player in Malaysia’s approach to irregular migrants. The US releases an annual Trafficking in Persons (TIP) Report that provides an annual snapshot of the circumstances of each country in relation to human trafficking. Malaysia has frequently been placed in the (worst) Tier Three ranking, damaging its global reputation and adding pressure to improve its conditions. In 2009, Malaysia was declared “one of the worst places for immigrants” by the United States Committee on Refugees and Immigrants (USCRI). In 2014, Malaysia was again deemed to be a Tier Three country after failing to properly address issues of trafficking and smuggling of persons for two consecutive years.This ranking was controversially reversed in 2015. 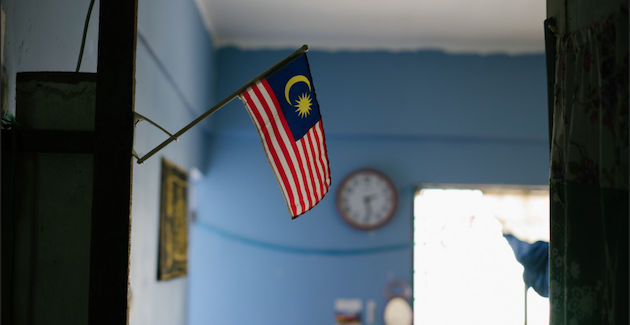 Malaysia was raised to the Tier Two Watch List despite its handling of the Andaman Sea crisis and amidst allegations of prevalent migrant abuse and trafficking. Human rights proponents suggest that the upgrade may have been a result of the Trans-Pacific Partnership (TPP) negotiations, and the new ranking is more a triumph of trade politics, while conviction rates of smugglers and efforts to combat smuggling remain questionable at best. Migrant smuggling in Malaysia continues to be a complex and multidimensional issue. Following the 2015 Andaman Sea crisis, Malaysia’s response to migrant smuggling has been heavily dependent on securitisation and enforcement of border controls. The government has also entered into regional agreements for cooperation and intelligence sharing for the primary purpose of closing smuggling routes. While these policies are important, they must be implemented in conjunction with proper mechanisms for labour exchange and foreign recruitment, particularly with Bangladesh. Without proper attention to the root causes of migrant smuggling, it is inevitable that another humanitarian crisis will occur in the near future. Elisa Solomon is completing a Master of Laws (Employment and Labour Relations Law) at The University of Melbourne. This article originally appeared in Quarterly Access on July 2, 2017. The original article may be seen here. 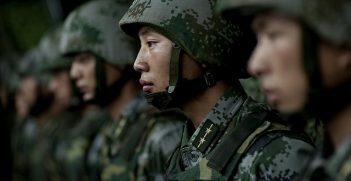 If Australia wants to get it right with Asia, it needs to get it right with China. 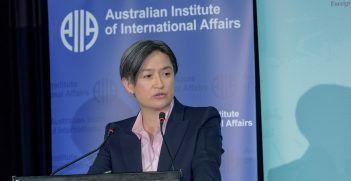 Labor's FutureAsia strategy is to actively engage with China and build a comprehensive and sustained partnership. Asia is commonly depicted as the most rapidly growing and economically dynamic region in the world. 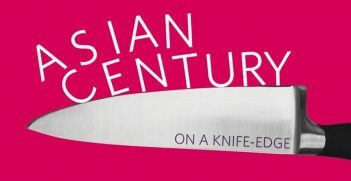 John West's book offers a useful corrective to the Asian Century hypothesis and a strong challenge to the notion that the 21st century will inevitably belong to Asia.